One of the writers that I have discovered since coming here is Higashino Keigo, who is the author of the last book that I finished reading in Japanese. When I say discovered, I mean that I walked into a bookshop and was confronted with a LOT of Higashino Keigo stuff. He’s very VERY popular, and extremely prolific, as he seems to always have some books coming out in paperback and something new coming out in hardback. He generally writes two types of stories: mysteries and more serious novels (maybe that isn’t a type? Hehe). The more serious ones sometimes have a hint of science fiction/the surreal to them, such as Naoko (秘密, which literally means secret, in Japanese), which is the story of a man whose daughter’s mind becomes the mind of his dead wife after a horrific accident. Some of them are a bit more straight, like 手紙 (Letters – I don’t think this one has been released in English) which is the story of a boy whose older brother has gone to prison for murder, and how this basically messes up his whole life. Tegami is the first one which blew me away, so if you can read Japanese I really recommend it. On the mystery side, one of his most popular series of books is the Galileo series. It’s about a police officer and a physicist who make an unlikely crime solving team. 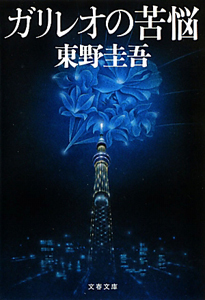 The books are a mixture of short story collections and novels, and although it doesn’t seem like the short stories have been translated into English, the novel length ones have been, starting with The Devotion of Suspect X (容疑者Ｘの献身 in Japanese). I’ve been reading these as they’ve been released into paperback form, and the most recent one that I’ve read is ガリレオの苦悩 (The Anguish of Galileo), which is one of the collections of short stories. This hasn’t been translated into English, which is a pity, because I really enjoyed it! In particular I really enjoyed the last one in this book, which involves someone who sends a letter to the police saying that he can kill anybody, and there’s no way that they’ll be able to trace it back to him. If you are studying Japanese, then I think that Higashino Keigo might be a good way to get into reading Japanese books, as the writing style isn’t too difficult. For that I would recommend the first Galileo book (探偵ガリレオ). For everyone else, my mum recently read the English translation of The Devotion of Suspect X and said that she really enjoyed it, and the Japanese version was very good. ALSO- I left you a comment on my blog, but in case you didn't see it (cause, you know, I was replying to a 2 day old post haha) Have you heard of The Book Depository? Because they deliver books to Japan for free. I feel like this is dangerous information, but YOU NEED TO KNOW! Hehe, I've done that before. The Devotion of Suspect X isn't anything earth shattering, but it's good for what it is. It's a pity that his other more serious (I guess?) books don't really seem to have had much attention paid to them, because I think they're generally better. Ah well. Free book delivery?!?! WOW! :D I think I can sense where any birthday money I get might end up going, hehe. Look at what just arrived at my house!! !